Normally I Wouldn’t Call A Raccoon Cute, But This Video Proves Otherwise! Aw! 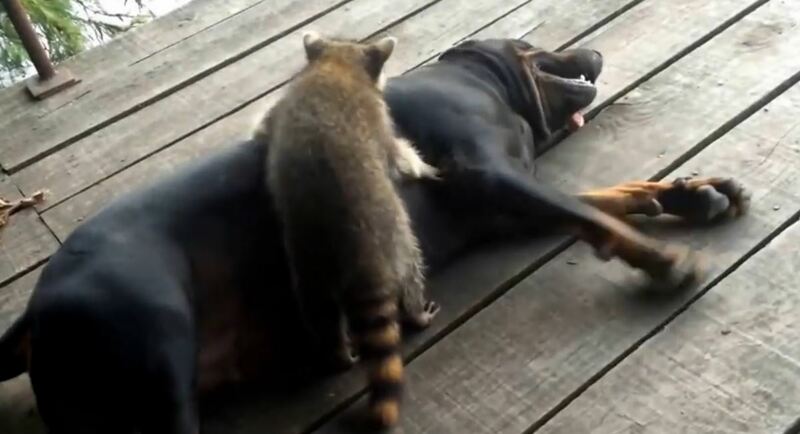 This video of a dog and raccoon playing is the greatest thing ever! Don’t you just love animal odd couples? I know I do!